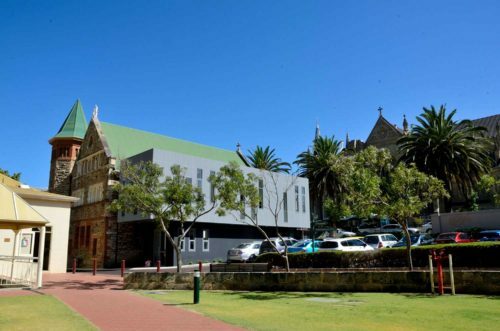 The original St Joseph’s building was constructed in 1895, and has been subject to many layers of unsympathetic additions and alterations. 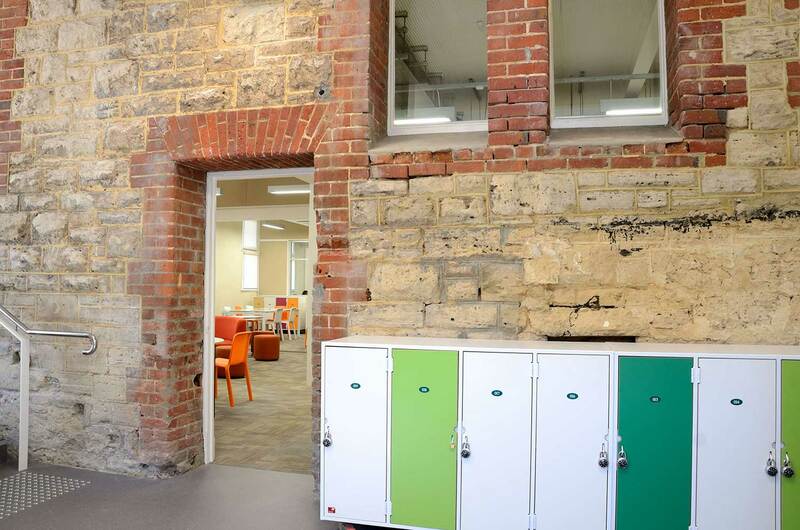 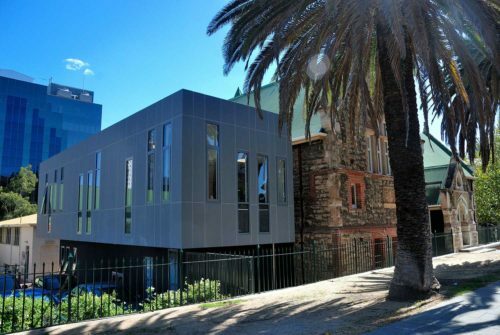 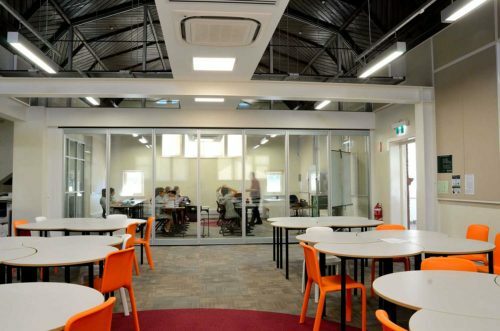 Site Architecture Studio were commissioned to shape the building into a new year 12 Learning Centre and convert this traditional cellular building into a 21st century learning environment. 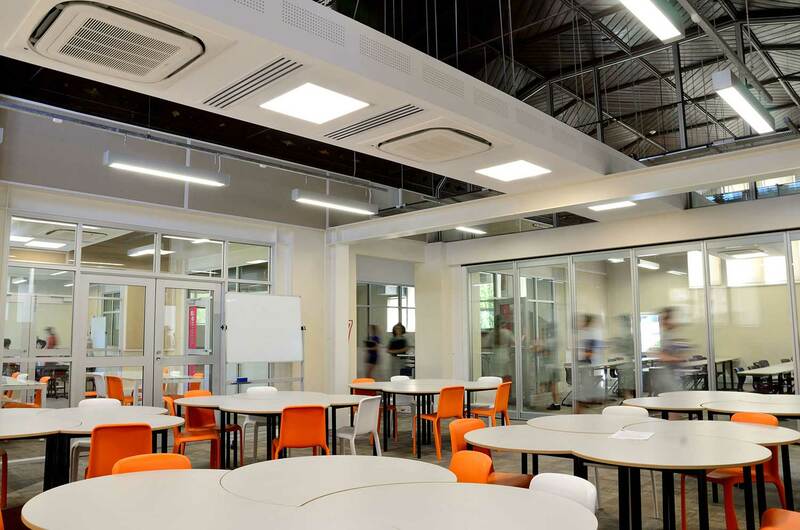 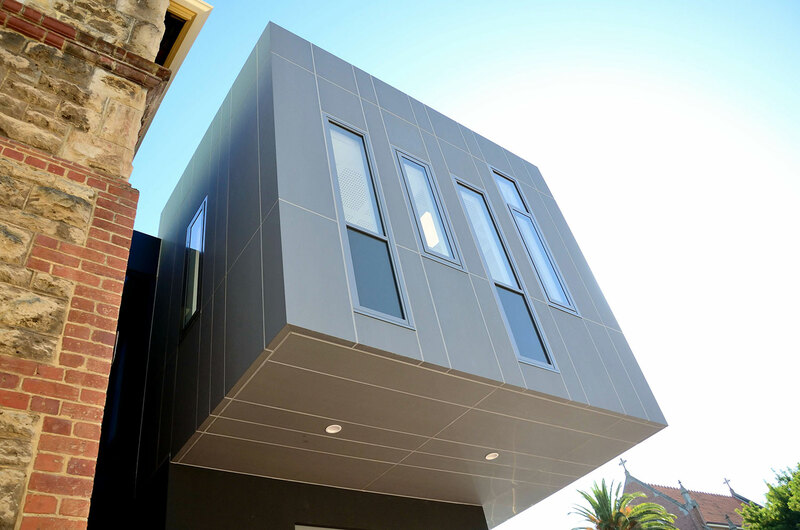 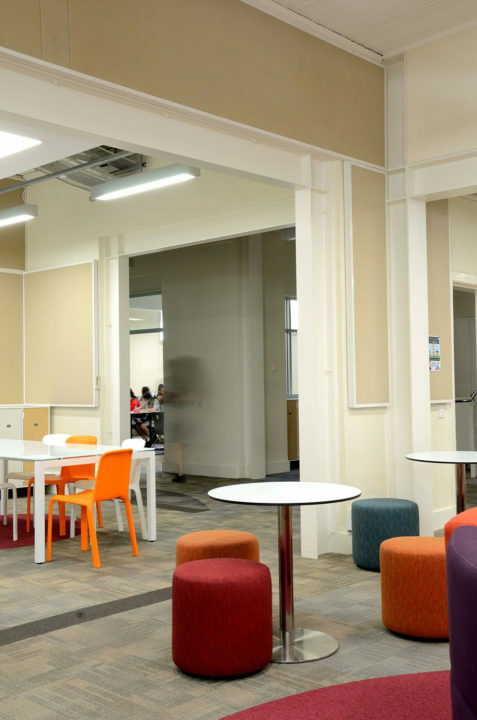 Site Architecture extensively analysed the existing building fabric to determine how best to create the required general learning areas and flexible break out spaces with minimal impact on the existing building. 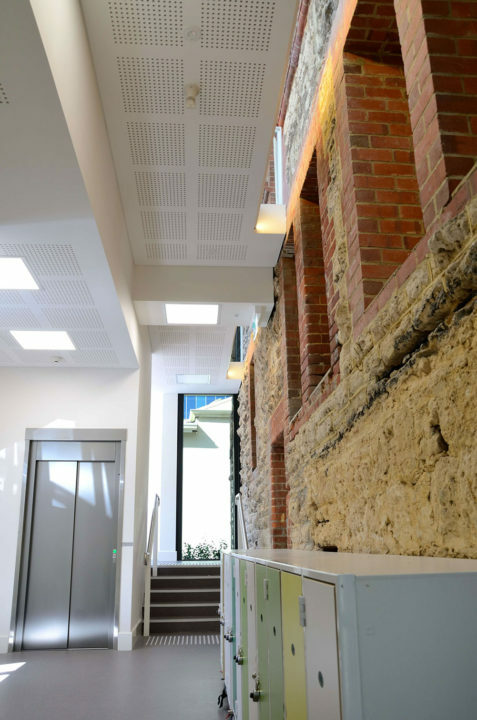 Damp and mould problems were remedied by extensive excavation and concrete piling around the perimeter of the site and installing drainage cells against the building. Internal render was replaced with a breathable lime based render and painting system. The original ripple iron and vaulted v-grooved jarrah ceilings were uncovered and restored. The carpet pattern shows where the Internal walls have been removed using structural portal frames. 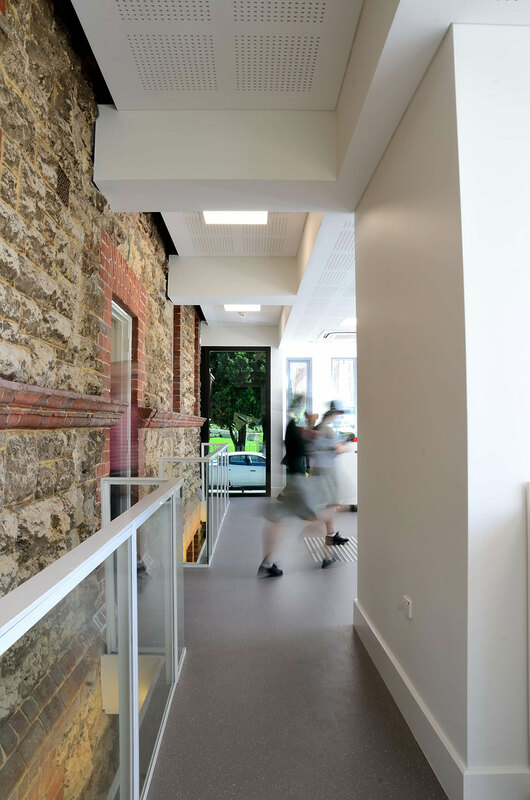 The new eastern addition links circulation, service and locker spaces to the existing building through a rectilinear cantilevered form. 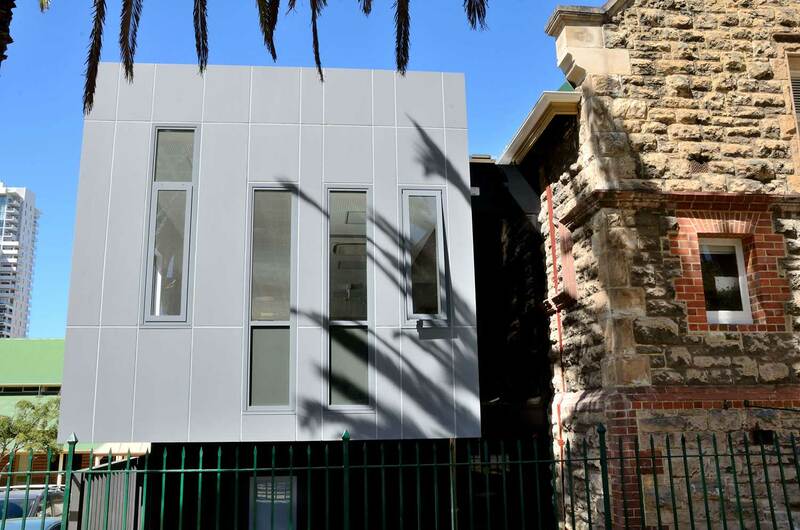 Touching the existing building lightly, the upper floor box is clad with zinc so it will age gracefully beside its 120 year old neighbor. This further highlights the difference between the old and new.